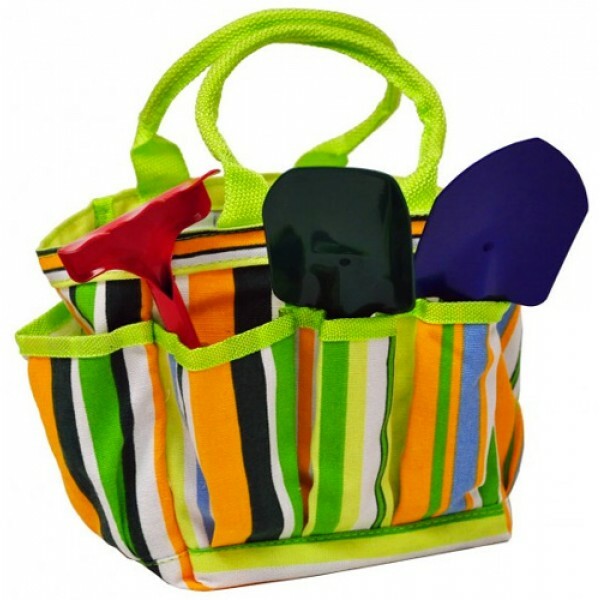 The Toysmith Garden Tote with Tools is a canvas gardening bag with tools perfect for child-sized hands! The exterior pockets hold a 6" rake, 8" shovel, and 8.5" hand trowel, all with metal blades and wooden handles, so they'll hold up to regular use in the garden. Addition space in the tote allows kid to bring along additional tools, seed packets, and more. They're the perfect choice to get kids working side by side with adults in the garden. 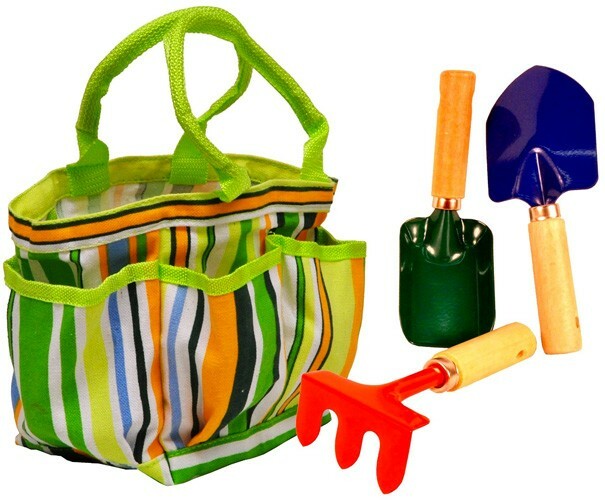 For children's gardening tools without the tote, check out the Toysmith Kids' Garden Tools set. 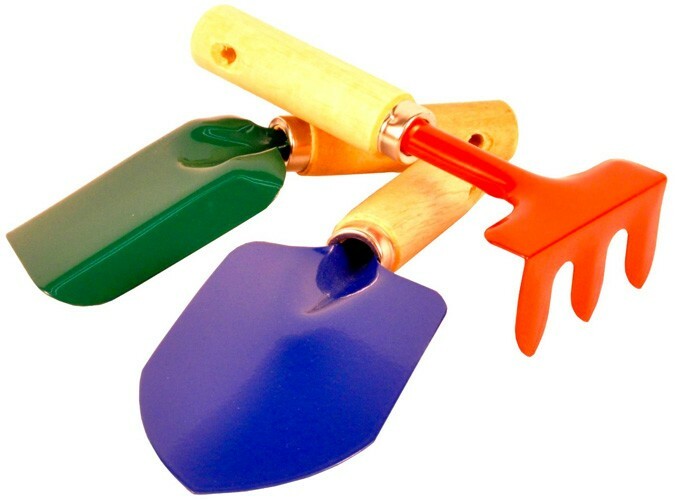 Toysmith also makes a set of Kids' Large Garden Tools which includes child-sized versions of a garden rake, spade shovel, hoe, and leaf rake.